In the years I have been in bus preservation I have owned quite a few vehicles. I've let these go for various reasons, mostly because I have saved them and wished to pass them on for further preservation or another project had reared it's head. Just before working at Eastonways I acquired ex Maidstone & District 5139 - WKO139S which had been dumped in their yard. Eastonways had been using her on school buses at Sandwich but the engine had blown up. She had the engine removed and there she sat. I acquired her to have as a running mate for 7681 but the amount of work involved to make her roadworthy involved a lot of time - which sadly I didn't have. When DVL392 came along it was decided to break 5139 up for spare parts instead with DVL392, 7681 and 7980 receiving parts from her. 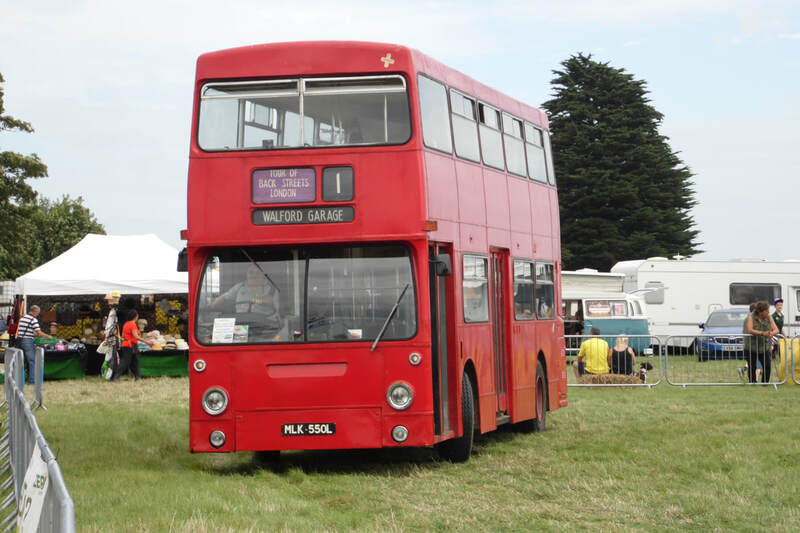 This Leyland 501 engined Bristol VR had been with Good News Ministry and had been based in Folkestone. I acquired it with Maurice Bean - then owner of 7980 - to use as a source of spare parts. It drove so well though and we soon found out that very little of it was compatible with our own VR's. I tidied her up and did some minor work on her before passing her on for further preservation in late 2007 to make room for MLK550L. A YouTube video of DVL392 can be seen here. WARNING! This is a very poor mobile phone footage and certainly not HD! DVL392 after a wash and the fitting of a new front dash panel from 5139. DVL392 alongside 7681 at Sandwich in 2007. Judging by FTU's destination, I suspect she was little confused! Another shot showing DVL392 with painted wheels and some NBC green panels. Whilst working at Eastonways, I got to know the Kemp brothers (of Kemp's Coaches) quite well. They would sub coach work from us when we had rail work and Tommy Kemp would sometimes drive for us on a school contract. In 2004 they announced that they were giving up the business. I had a wander over to their depot in Harold Road Cliftonville to see if there was anything we could use at Eastonways. Tommy and John both knew I was interested in bus preservation and said if I wanted HJP489V, a Volvo B58 with Duple coachwork, I could have it. I was also offered an ex Greenline AEC Reliance too, but due to storage and the fact it needed a tow put pay to this. The unique AEC Sabre was also there and at the time for a few grand she would've been available too. John decided to hold on to the Sabre to restore her but she's still dumped on a local farm with little work being done to her. Back to HJP489V, I moved it from Cliftonville to Sellindge and it drove quite well. Closer examination revealed a rather nasty droop at the back end! Duple quality. You can't beat it! It was hastily sold on and I'm not sure if it's alive still. One guy who looked at it wanted to turn it into a mobile home with a sunken bath in the boot area - right where it was drooping - good luck with that! Bath + water + person/persons = bath and contents one the floor under the coach me thinks! HJP was new to Smiths of Wigan in 1980.